新闻 新闻 Why X-ray empty bottles? 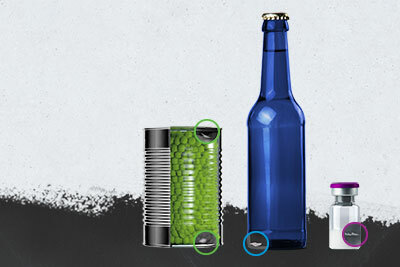 LED strobes, high performance cameras and real-time image processing for the complete examination of all the surfaces from the base to the finish, infrared and high frequency technology for the detection of oil, varnish and residual lye: this is surely sufficient in order to ensure full detection reliability during an empty bottle inspection! It usually is: the HEUFT InLine II IXS can demonstrably detect up to 100 per cent of all relevant faults in operating settings with a false rejection rate of zero per cent alone with these technologies. But enough is not enough for HEUFT. 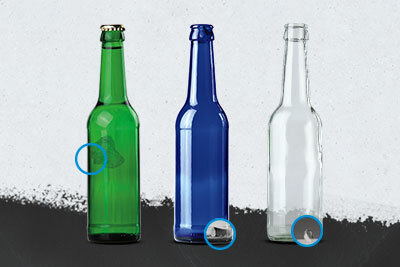 Particularly when dealing with very specific foreign objects on the base of the bottle which can become really dangerous for the end consumer: glass splinters. These can usually be easily detected optically depending on their size, shape and position. However up to 29 per cent more is possible together with the pulsed X-ray technology available exclusively from HEUFT as the performance record by the Versuchs- und Lehranstalt für Brauerei (VLB – Research and Educational Institute for Brewing) also revealed. Consequently the VLB has integrated the premium device into the "Wilfried-Rinke Technikum" of its new, ultra-modern training centre in Berlin: where it is said that this made it possible for the renowned institute "to keep training in the filling and packaging of beverages sector at the highest level […] and to teach the students the latest technology with regard to the inspection of empty bottles directly at the device". 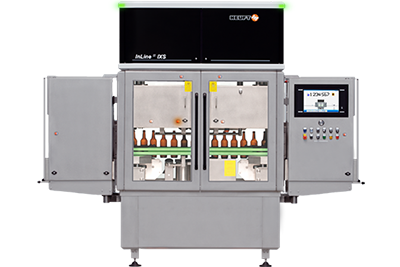 And more: "the unique feature of the HEUFT InLine II IXS is the additional X-ray base inspection which further increases the detection rates during the detection of glass splinters and other objects in the base area of bottles". This is particularly true for especially difficult cases such as minute glass fragments surrounded by residual liquid. Because the density of these unwanted objects is higher than that of the liquid in which they find themselves. Thus they are easier to identify by means of the X-ray flash than just with camera technology. Namely the surface tension of the residual liquid impairs the detection performance in the same way as the human eye: it blurs the prominent edges and weakens the contrast so that some glass splinters on the base of the bottle could be overlooked during the purely optical inspection particularly in the case of colourless, transparent splinters. An effect which does not have an impact on the X-ray detection. The unique pulsed radiometric measurement provides still more clarity when compared to conventional X-ray scanners. Motion blurs cannot impair the precision even at high transport speeds because no continuous beam is emitted but only a very short X-ray flash: the smallest splinters are indeed clearly visible. This also works due to special masks and filters during the real-time processing of the X-ray images with the HEUFT reflexx² when they are on or between the knurling marks from which they are extremely difficult to distinguish purely optically. However the combination of camera and X-ray technology does not only make the difference during the difficult glass in glass detection. Even metal and air inclusions in the glass or shell-shaped fractures and chips on the outer edge of the base are easier to identify. 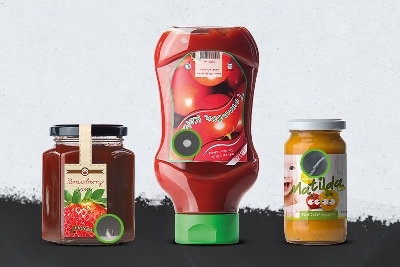 Whether empty bottles with such merely aesthetic blemishes are rejected or not depends on the individual quality requirements of the respective bottler – he can decide for himself what he considers to be good or bad using the HEUFT reflexx². Just having the opportunity to take a closer look if necessary is already worth a great deal. Therefore a number of customers also decide in favour of a HEUFT InLine II IXS equipped with X-rays. Thus all the relevant faults are already reliably detected with the usual procedures for an empty bottle inspection. 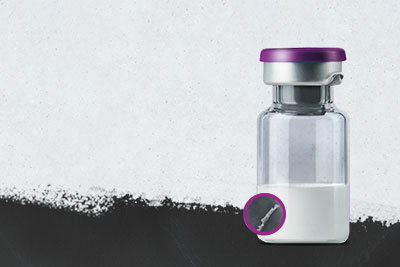 And there is scope for even more when it is needed with a simple retrofit of the unique pulsed X-ray technology in the modular system – not only for the sophisticated glass in glass detection!